There are four surviving subspecies: Roosevelt (C.e. roosevelti) Tule (C.e. nannodes), Manitoban (C.e. manitobensis) and Rocky Mountain (C.e. nelsoni). A.K.A. : Wapiti, American stag, American red deer. Description: The elk is the second-largest member of the North American deer family (moose are larger). The Roosevelt elk of the Pacific Northwest is the largest variety; an exceptional adult bull will weigh up to 1100 pounds, and a cow up to 700. 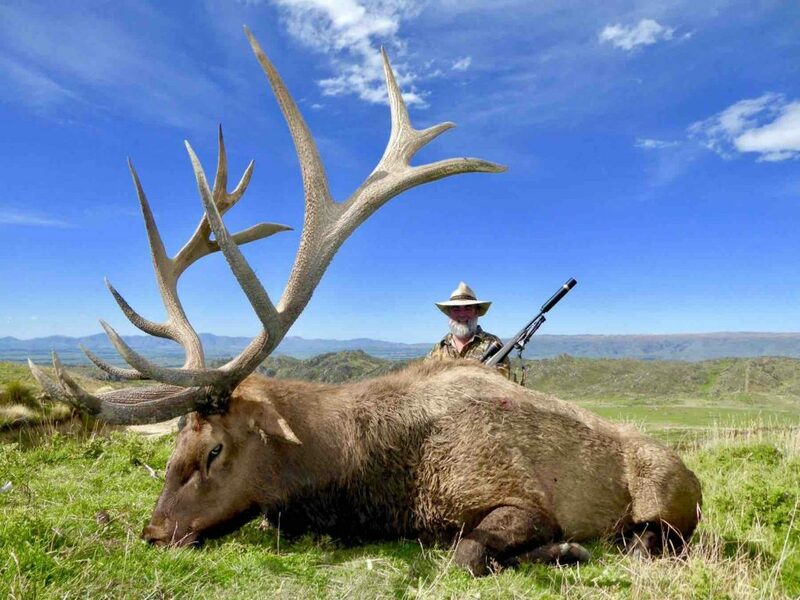 The smallest is the Tule elk of California, with bulls averaging 400 pounds. Rocky Mountain elk, our most common elk, will have adult bulls weighing 700 pounds, 500 for a cow. There are slight color variations, but generally speaking all elk are greyish-brown with a darker neck ruff, or cape, and a white or yellowish patch on the rump. In fact, their most common native name, wapiti, comes from the Shawnee and means “white rump.” Only the males have antlers, which are shed annually. Habitat and Distribution: When Europeans first came to America, the elk was found virtually everywhere. Estimates of their numbers range up to 10 million. They were denizens of the deep eastern forests, the wooded mountains of the west, and the Great Plains in between. The elk was one of the most adaptable and hardy species to be found in the new world. By 1922, a combination of hunting and settling had reduced elk numbers to their all-time low of about 90,000 in total, of which almost 40,000 were concentrated in Yellowstone and other national parks, as well as in Canada. Outside the parks the elk retreated into the densest and most remote mountain ranges,such as the Selway-Bitterroots of Idaho and the Rockies of western Montana. Over the next few decades, there was a concerted effort both to protect the surviving herds and to reintroduce elk to those parts of their old range that were still suitable. Most of the transplanted animals came from the Yellowstone herd of Rocky Mountain elk; consequently, that is the subspecies most commonly found today. The effort was an almost unqualified success. In some areas, such as Arizona, the elk herds grew so quickly that they became and remain an important big game animal. The reintroduction efforts are not ended; today, elk are being transplanted as far afield as southern Texas, northern Ontario and some midwestern states. Elk are also expanding their range naturally, and are now found and hunted from the mountains of northern British Columbia all the way down into Mexico, and as far east as the edge of the Great Plains. At a later date, this will feature links to our articles about the best elk hunting gear. The Hunting Trail updated their cover photo. The Hunting Trail updated their profile picture.